Charlotte Olympia wants to be remembered for having a ''strong hair game'', although she has had her shoes from her eponymous label worn by a lot of stars. 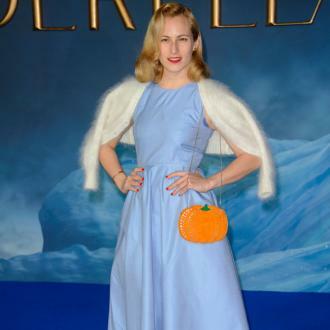 Charlotte Olympia wants to be remembered for having a ''strong hair game''. The 35-year-old fashion designer - who launched her eponymous footwear label in 2006 - has designed showstopping shoes, which have been adorned by 43-year-old supermodel Kate Moss and 35-year-old actress Sienna Miller, however she would rather be known for her golden locks rather than her highly coveted creations. The creative mastermind believes everyone should feel ''joy'' towards fashion because it is an ''expression'' of their feelings. When asked what emotion she would assign to fashion, she said: ''Joy; fashion should be fun and make you feel good about yourself. And Charlotte believes ''nothing'' feels better than shopping and buying a new pair of shoes, although she can't decide whether she prefers to wear high heels or flat shoes. She said: ''Nothing beats a new pair of shoes. Although Charlotte's logo for her brand is of a spider's web, she has admitted her greatest fear is spiders. And if the star was to acquire any skill she would love to be able to be a culinary mastermind, because she has claimed she is ''useless'' in the kitchen.